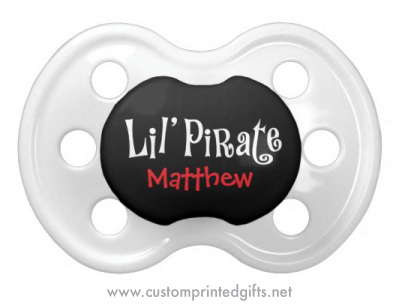 Fun, personalized pacifier featuring white text “Lil pirate” and customizable name in red on a black background. Cute design for little baby boys and girls. Makes super cute baby shower gifts.